Welcome to the November digital release blog hop!!!! The hop will run for 1 week and end on Sunday 8th September at 12 Noon EST, when the lucky winners will be announced right here. 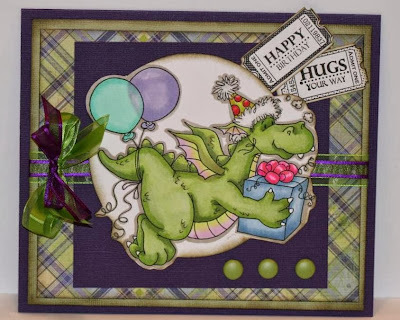 This is the card I created for the blog hop using a super cute cute image from crissy's design. This image is called Dragon Party. A great image that would make a great boy card, I made it using colors that could be used for both a boy or a girl. I love the colors purple and green together. What an awesome Image you´ve used here Charlene. It´s just gorgeous and I love the little tickets too. What a cute card. That image is so fun. Such an awesome card here. It´ll just be sooo perfect for a boys birthdaycard,. This image is so cute and fun and you used it really well here. Great birthday card. It would be perfect for my great grandson's 2nd birthday which is coming up in a couple of weeks. A real fun card! Awe that dragon is sooo cute The colors are perfect for boy or girl. This is such a cute image. 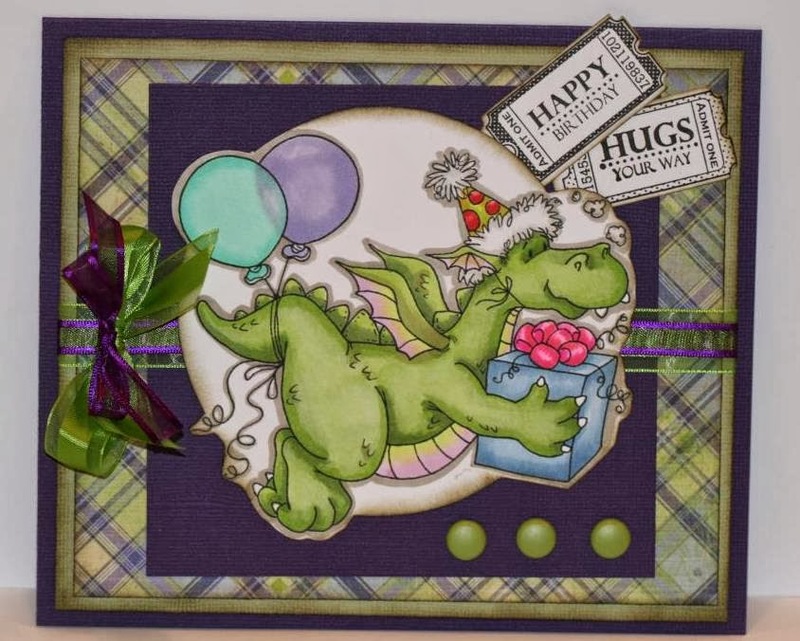 I love the papers, green and purple is such a great color combo. A super cute dragon and I'd be happy to receive it and yes fab for boys too a great way to have a unisex card thanks for the inspiration and ideas. I love how you colored this image! What a great card; it totally made me smile! I love your layout also! This is such a cute digi and what you did with it is wonderful. Really gorgeous card - makes you smile. You have really nailed the balloon effect - gorgeous coloring. Such an adorable card for a youngster! Gorgeous coloring and design! TFS! 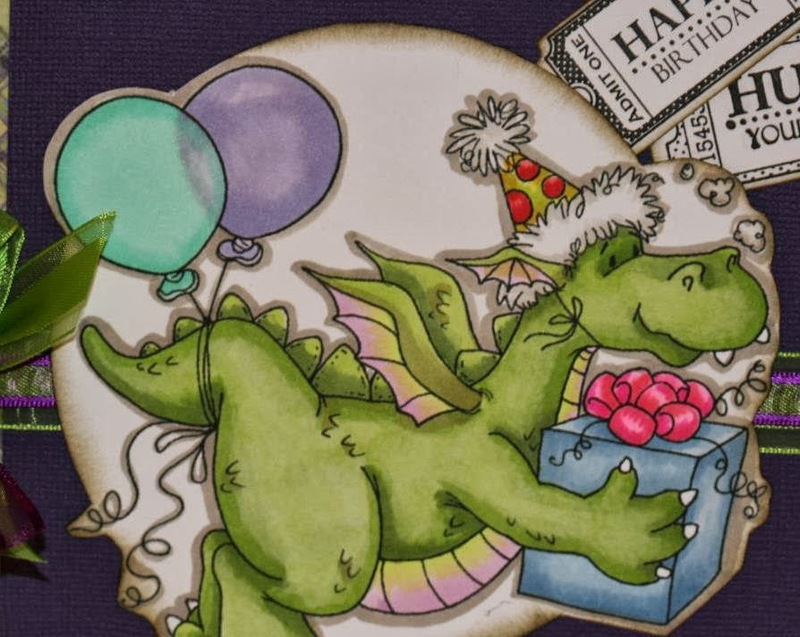 hihi, very nice card with the dragon. Awesome job friend, love the colors, and the see thru balloon technique, nicely done...great job!